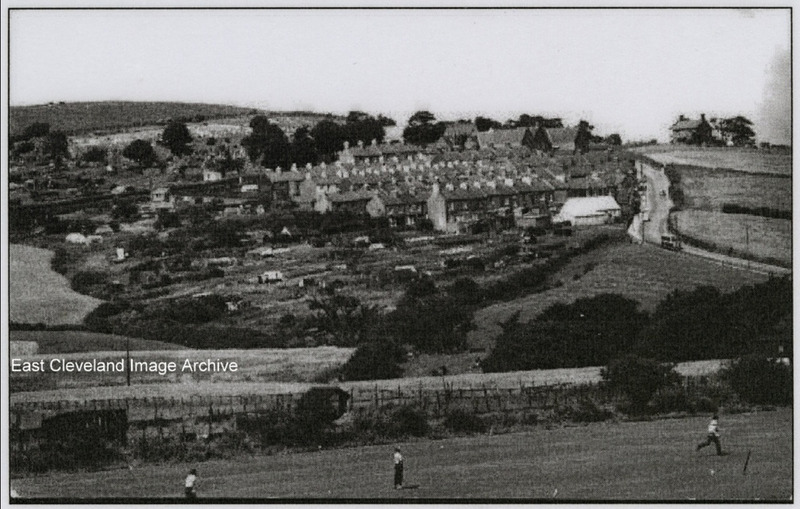 A view of New Skelton from North Skelton (possibly the cricket field). This in the days of Stanghow Lane Secondary School, now sadly demolished and the chapel sited opposite what is now Byland Road. Dating is unsure so we welcome a suggestion. Image courtesy of John G Hannah. There is a bus going up the road. It looks to be one of those from the 1960s that had a flat front, flat back and rounded corners to the coachwork. All three boys in the foreground are wearing long trousers. Are they still in school uniform? When did long trousers become the normal uniform for lads of this age? The cemetery looks to be fairly full. When was the next extension added?